The Rangers and Lightning are back at it tonight in a crucial game for New York in what feels like a must win for Vigneault’s squad. Photo courtesy of MSG Photos. Forget about the last two games, start fresh on Friday, and earn a split in Tampa to bring the series back to MSG for Game 5. That’s the mentality that all of the Rangers’ skaters must have when heading into Game 4 tonight at Amalie Arena, a crucial, almost must win for New York. After a disastrous past two games, full of undisciplined play and defensive breakdowns, the team needs to move past that and be much better tonight. While it’s not technically a must-win elimination game, it surely feels like that. The Rangers still only trail the Lightning by a two games to one series lead, and a win tonight would send the series back to Madison Square Garden with the series even, and home ice advantage back in favor of New York. That will be no easy task, as the Lightning have built up a ton of momentum after scoring a dozen goals in the last two games. Their offense has been electric, generating a ton of high quality chances and converting on a lot of their opportunities. They have confidence, posing a challenge to the Rangers. But the Rangers have always been ready to face adversity during the season, stepping up the challenge on numerous occasions. Captain Ryan McDonagh knows the importance of this game tonight. Derick Brassard reiterated that there isn’t any worry in the locker room, just disappointment that the team had not been playing their type of game. Derick Brassard said on Thursday that the team has confidence going into Game 4, and that they realize the importnace of this game. Photo courtesy of MSG Photos. The Lightning have gotten a ton of contribution from the Triplet line, as well as Steven Stamkos and Alex Killorn on the top line. Tyler Johnson leads the NHL with 12 goals in the playoffs. Ondrej Palat has three goals in the three games against the Rangers, and Nikita Kucherov had the game winner in the overtime period of Game 3. Steven Stamkos has found his scoring touch in this series, and Alex Killorn continues to pressure the Rangers, with nine shots on goal in Game 3. 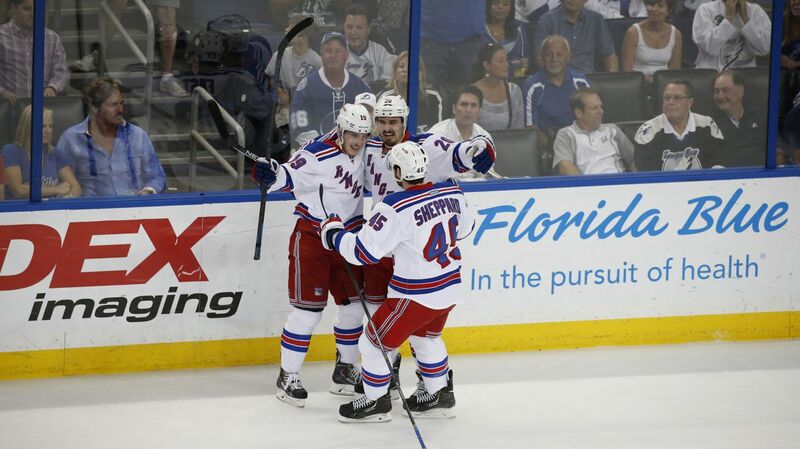 The Triplet line, as well as Stamkos and Killorn, have been a huge thorn in the Rangers’ side. Vigneault hasn’t really found a way to stop them in the last two games, and that needs to change fast. Ryan McDonagh, Dan Girardi and Marc Staal, the three best defensive defensemen on the team, all need to be better. Henrik Lundqvist has never really had struggles like this in the playoffs during his career. Game 2 and 3 were the first time that Lundqvist had allowed more than five goals in the playoffs since his postseason debut in 2006. He admitted that the speed and elite skill of the Lightning’s forward group have given him trouble with his decision making. But Lundqvist has had only two rough games in these playoffs. The first 13 games from him were outstanding. He’s facing the best offense in the NHL, and the defense in front of him has been horrific. If the defense gets better, I have no doubt that Lundqvist will be better. He was the better goalie in Game 3, and he still has the upper hand on Bishop. Jesper Fast had one of the best games of his career in Game 3, scoring two goals for the first multi-goal game of his career. He’s defensively responsible, always positioned well, and complements Stepan and Kreider very nicely. Derek Stepan has a six game point streak (3-5-8), and continues to be one of the best players on the ice. Jesper Fast was outstanding on Wednesday, and the second line with Derek Stepan and Chris Kreider has been the best for New York. Photo courtesy of MSG Photos. Dan Boyle and Keith Yandle both had very good games on Wednesday, and continue to perform well in the series. Boyle had the tying goal on Friday to send the game into overtime, and added an assist, giving him four points (1-3-4) against his former team. 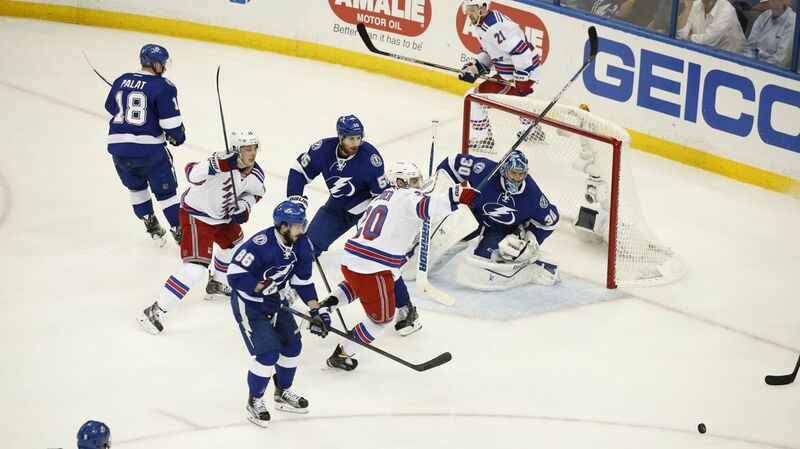 Keith Yandle had two helpers, giving him six points, all assists, in the postseason. Yandle made some strong defensive plays in one-on-one situations, and he used his skating to beat the forecheck and make that first pass, as well as joining the attack at the right moments. 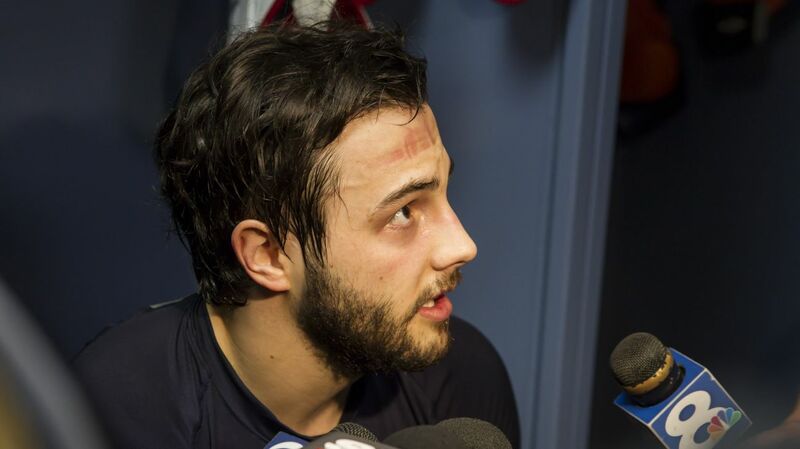 He saw just 16:15 of ice time, so hopefully Vigneault utilizes him a bit more tonight. The Rangers and Lightning will faceoff at Amalie Arena at 8 PM. The game will be broadcasted on NBCSN. Posted on May 22, 2015, in Game Previews and tagged Alain Vigneault, Ben Bishop, Cam Talbot, Carl Hagelin, Chris Kreider, Dan Boyle, Dan Girardi, Derek Stepan, Derick Brassard, Dominic Moore, Hartford Wolf Pack, Henrik Lundqvist, James Sheppard, Jesper Fast, JT Miller, Keith Yandle, Kevin Hayes, Kevin Klein, King Henrik, Madison Square Garden, Marc Staal, Martin St. Louis, Mats Zuccarello, Matt Hunwick, MSG, MSL, New York Rangers, NHL, NHL 2014-2015 Season, NHL Playoffs, NY Rangers, NYR, Rangers, Rangers Nation, Rangerstown, Rick Nash, Ryan Bourque, Ryan McDonagh, Stanley Cup Playoffs, Steven Stamkos, Tampa Bay Lightning, Tanner Glass, The Ranger Zone, Tyler Johnson. Bookmark the permalink. Leave a comment.